Wondering where to have Iftar this Ramadan? Jumeirah Beach Hotel is the perfect venue to experience a spectacular sense of luxury this Ramadan. Share the traditions of Ramadan with family and friends at this beautiful venue. 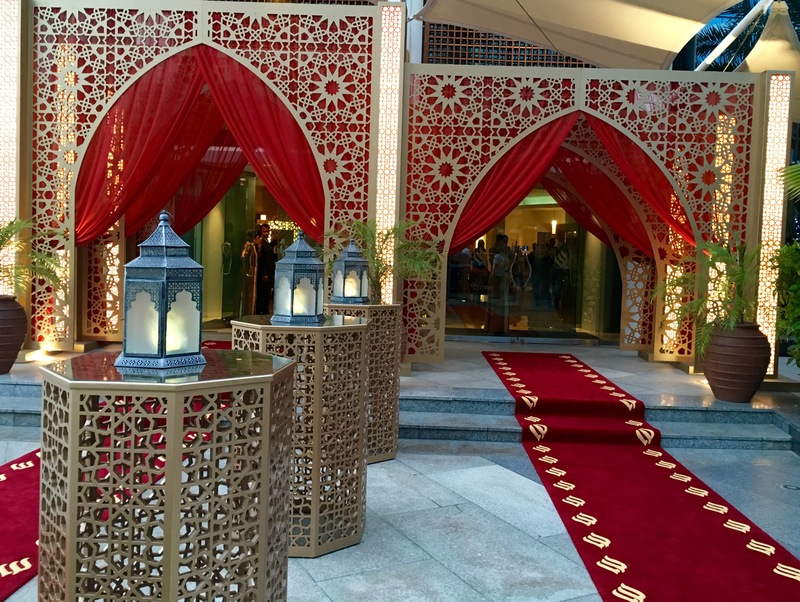 My latest Iftar preview invite took me to Dubai’s iconic landmark Jumeirah Beach Hotel. The Iftar and Suhour will take place in Majlis Al Safinah, the Safinah Ballroom throughout Ramadan. Safinah ballroom is a gorgeous and modern place. The Arabian inspired setting is elegant,colorful and opulent. The spacious place can comfortably seat up to 400 guests. It also offers eight private Majlis areas with seating options from 10 to 20 guests per room, the Majlis is the perfect settings for intimate gatherings where guests can break their fast in a luxurious environment. The Iftar buffet at Majlis Al Safinah is massive. You can expect Jumeirah hospitality at it’s best. It is inclusive of traditional Ramadan drinks and hot beverages like coffee and tea. The Iftar buffet offers wide range of salads, starters, soups, cold and hot Mezze, breads,mains and desserts. Traditional Ramadan favorite Lamb Ouzi was a big hit with everyone. The buffet not only offers Middle Eastern cuisine, it also offers international cuisine. The dessert station was impressive. There will be live Oud music. I had a wonderful Iftar experience, I’ll definitely be going back during Ramadan.